The Hold Harmless Agreement samples are of great help when you have any confusion about the agreement which your lawyer has prepared. Like if you have no idea of how this agreement should look like, you may choose to develop an idea by seeing how other samples and examples are made. You will get a sense of how the various types of agreements in this category are formed. You will be able to make a fresh agreement by seeing the Sample Agreements. 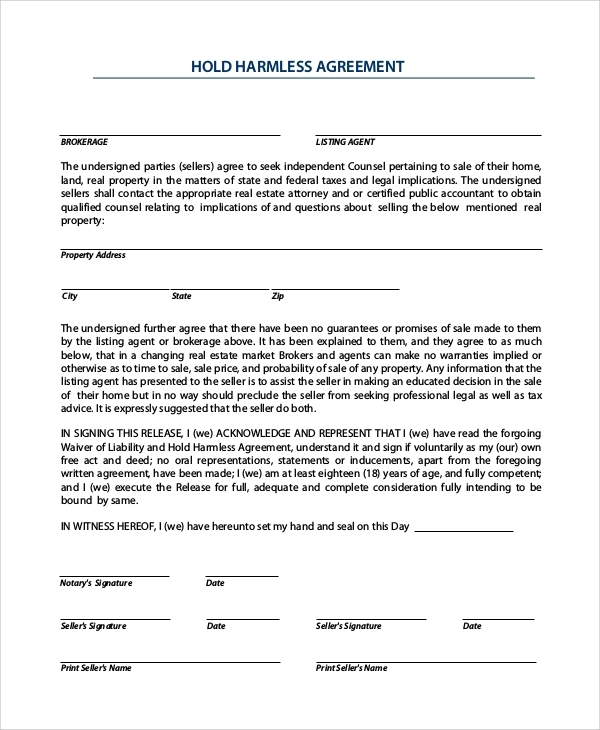 The Hold Harmless Agreement sample you get online is one of the general forms of samples, which anyone can use to make a general hold simple format and or get some idea. 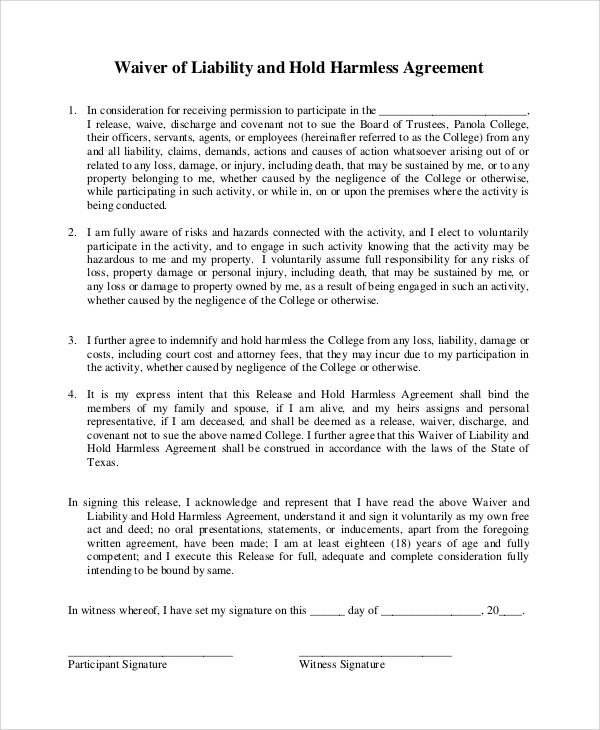 If you have to set the other party free from any indemnity, then you may use this agreement format to make a hold harmless agreement. This will help you with the right suggestions. 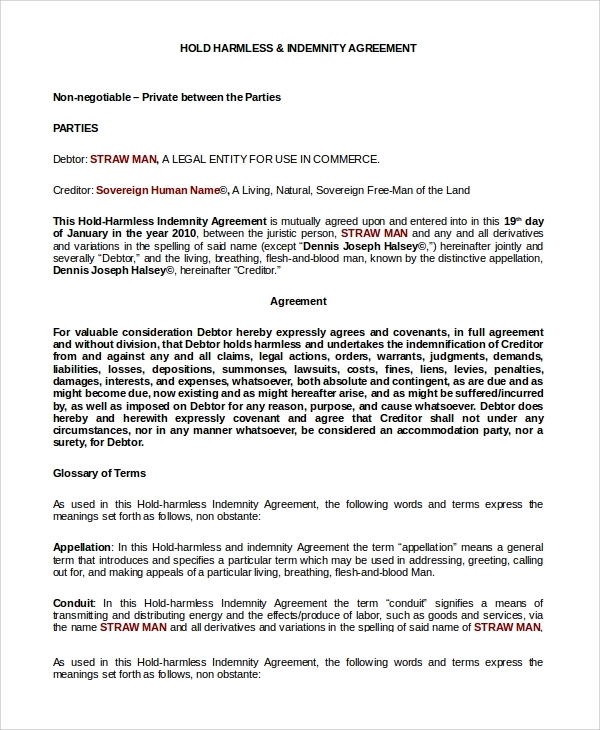 If you want to set the other party free in an agreement with you from all liabilities about an office, building, property, business, etc., then this form of agreement can be made. 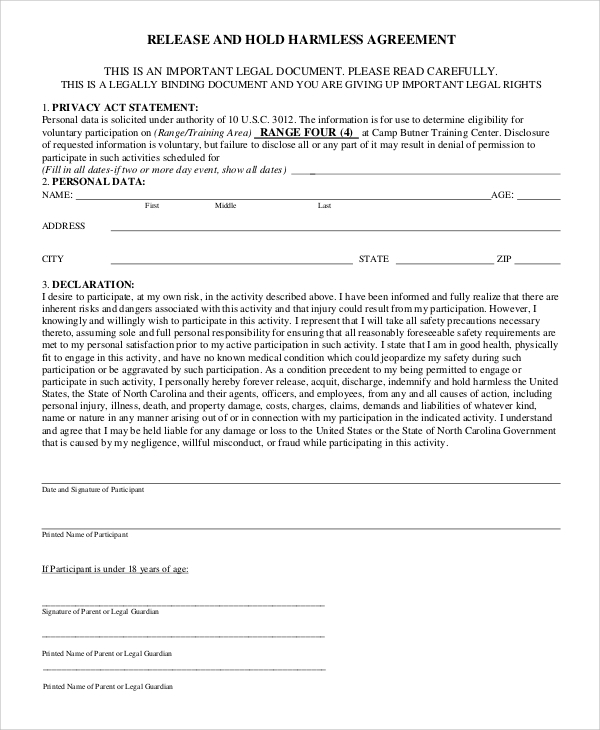 The hold harmless agreement form in the most basic form is discussed here in the sample. This will help you make or check an agreement’s vital points. 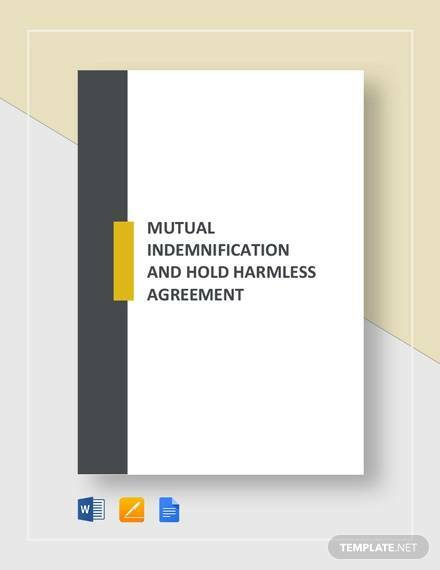 The hold harmless indemnity agreement is what you would like to use when you have to set off the party free from all responsibilities of damages, losses, expenditures etc from a property. 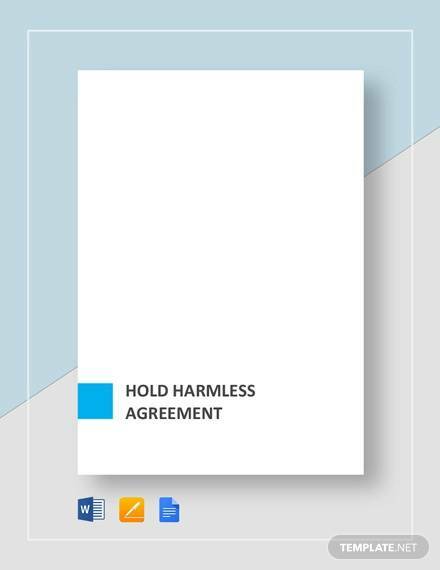 The Sample Hold Harmless Agreement is a specific agreement style made to relieve off a party from all the financial liabilities and responsibilities for losses, damages etc. This can be used in any business or in any collaborative work, where you want to assure the party working or associated with you, that they won’t be chargeable or held responsible for any damage expenses, losses etc. This is one form of securing rights for a party, and making them comfortable in a position. This can be done when you understand that the party is not appropriate to take responsibility due to current financial condition, age, lack of knowledge, authoritative power etc. Who Should Use the Hold Harmless Agreements? 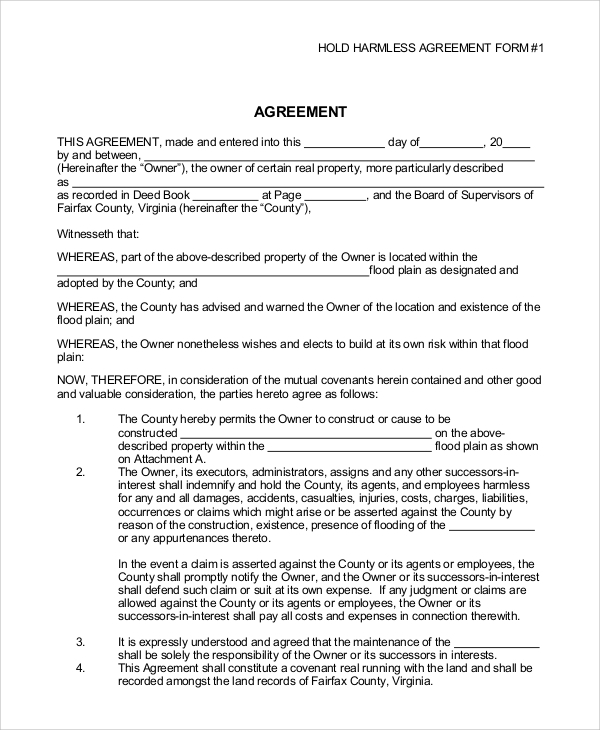 The hold harmless agreement is meant for those, who wants to make sure that they are relieving off a party from the liabilities of a business or property, who actually have no power or authority to take the liabilities, or are in a too superior position to be questioned. The agreement is one form of legal document which can be presented any time before the law, if the party relieved of off responsibilities is charged for taking any responsibility etc. 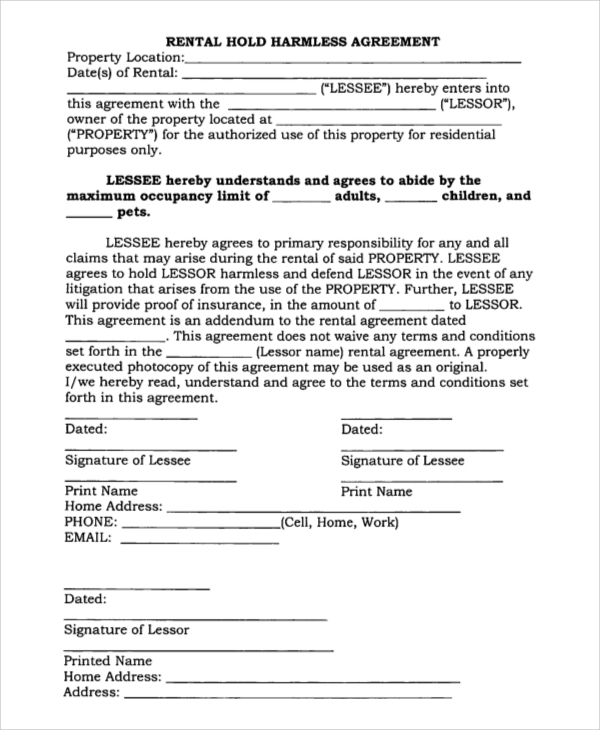 Being in a business, or in a property deal, you may use this agreement. 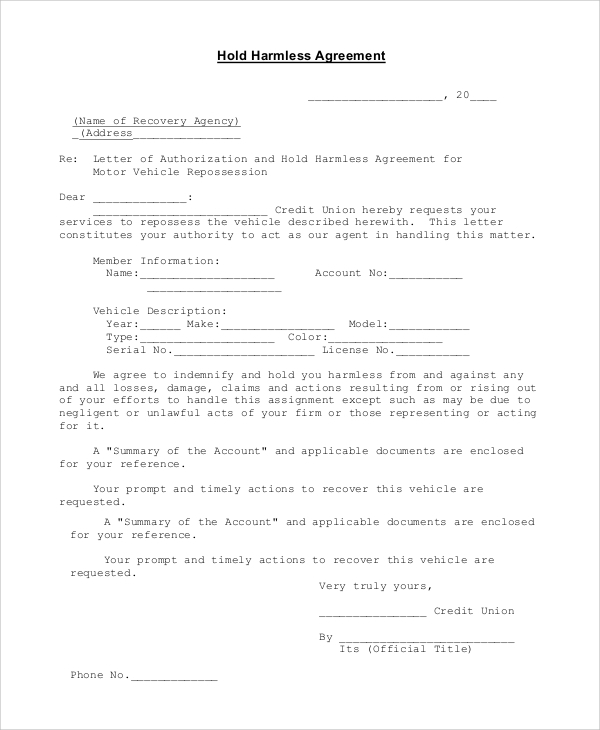 You can always get some ideas of the latest trends in the hold harmless agreement styles, and may tell your lawyer also to get suggestions from the samples. 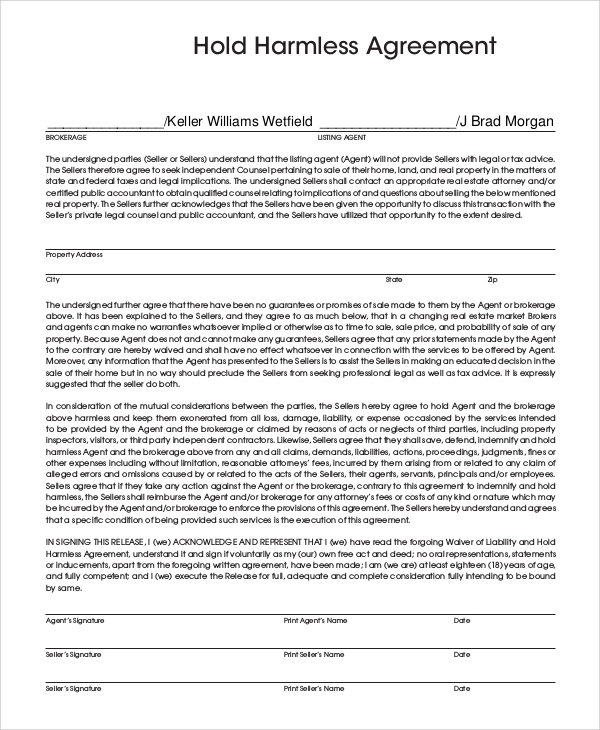 Besides, other important forms of contracts and agreements like the sample commercial lease agreements, and the Standard Consulting Agreement Samples are also available online.